1. Low cost investing: Under the NPS, there is a ceiling of 0.25% on the fund management fees. (This is for the private sector, for government employees the ceiling is even lower at a negligible 0.0102%). Administration and account handling charges are additional but even these are quite low and are not expected to exceed 0.25%. Therefore the total costs of NPS should not exceed 0.5% which is the lowest in India by far. Most mutual funds in India charge at least twice of that. Many people argue that the flipside of low fees is that all funds in NPS are passively managed while mutual funds are active and can potentially outperform the market. However such arguments should be taken with a pinch of salt. First, performance is expectation but fees is reality.Anything that you are saving on fees is like earning that amount as a guaranteed additional return. And even an additional 0.5% (or more) per year can add up to a significant amount over the long-run. Second, while it is true that in any single year, there will be funds that will outperform the market, most international studies show that it is extremely rare to beat the market consistently year on year (Warren Buffet has done that probably, but then as a result he is WARREN BUFFET). In markets, probably diversification is the only free lunch which brings us to the second point. 2. Diversified investing and the ‘auto choice’ option: NPS offers investors passive funds in three asset classes: equities, government securities and a wider range of fixed income securities, thus allowing investors to build low-cost, well-balanced portfolios. However if you are confused as to how to allocate between these asset classes, then an auto-choice option is also available. Under this option, the investor’s age decides his equity allocation. The option is built on the life-cycle theory of investment (i.e. young people should invest more of their money in riskier equities, but allocation should gradually shift towards safer debt as retirement approaches), which is not new but products based on it are still rare to come by in India. 3. Tax treatment: Finally tax wise, contributions to NPS are exempt under 80C. However the amount withdrawn after age 60 will be taxed. 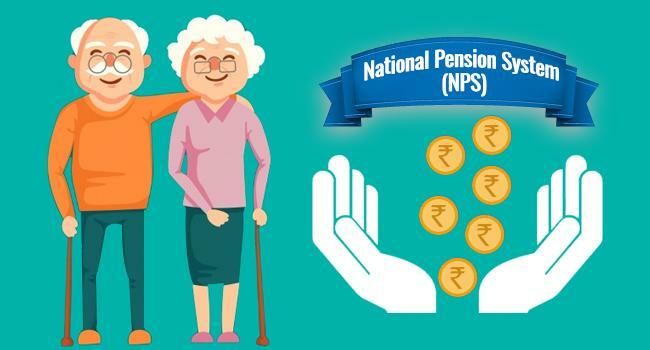 However in addition to 80C, NPS also offers tax benefits under Section 80 CCD(2).Under this section, if an employer contributes 10% of the salary (basic salary plus dearness allowance) to the NPS account of the employee, this amount gets tax exemption of up to Rs 1 lakh. This is over and above the deduction under Section 80C. So these were the plus points but as always a few words of caution: NPS has a long lock-in period as the corpus can only be withdrawn after the age of 60 years and that too in part. This structure may work for retirement planning but is not suitable for investors with other goals or those who want more flexibility. Second the maximum amount that can be invested in equities is 50% which may be too low for some people and has to be supplemented with external investments. Last given that this is a low-cost scheme, the flip side is that there are very few people out there who are incentivised to hard-sell this. So you may probably find investing in this difficult but it may be worth the effort.